Ability to sleep close to your baby without having to share the same bed. Travel bag included for easy transport. Simple and safe fastening system to attach to parent’s bed. 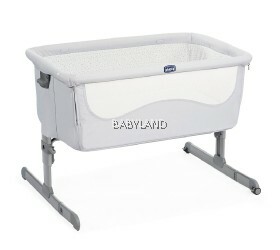 Adjustable to 6 height positions to ensure compatibility with beds and drawers. 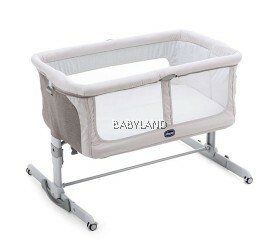 As baby grows can be used as a standalone crib. 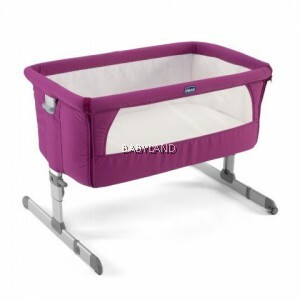 Chicco’s Next2me side sleeping crib has been specifically designed to allow you and your baby to sleep next to each other without the need to share the same bed. 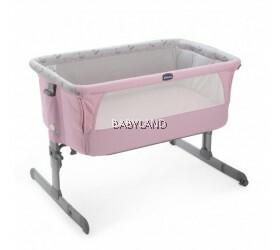 The ease of attachment and assembly, plus the removable and washable lining make life easy, making the Next2me bedside crib the perfect addition to any nursery.